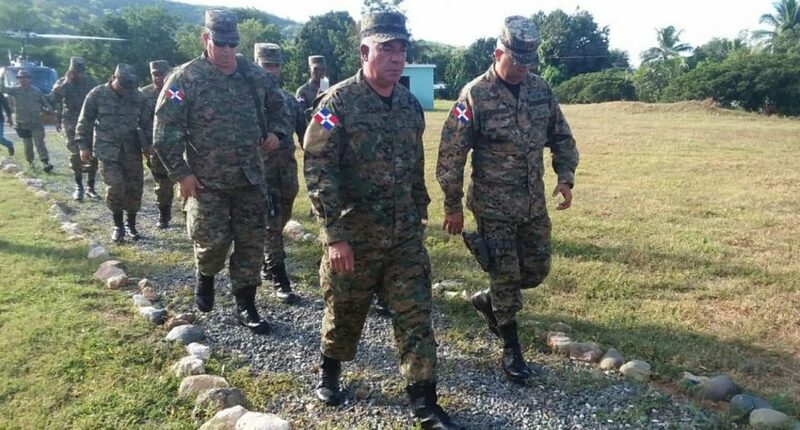 Dajabon, Dominican Republic.- Dominican Army commander Estanislao Gonell on Sun. toured the northern border zone where he visited the units which guard the Dajabón border market. He observed the operational readiness of the Border Patrol Task Force as well as the tactical transport for patrols at border towns, on alert over the unrest in Haiti now in its fourth day. During his visit Gonell spoke with soldiers about routine tasks and urged them to carry out their duty at border checkpoints to protect their country. Gonell was received by 4th Infantry Brigade commander Belén Pichardo, who reported on the current the operations and results obtained.